When most textile fibers are stretched more than around 10 percent of their length, they may recover a little of this distortion rapidly, some more slowly, but some permanent distortion remains. In contrast, an elastomeric fiber will typically recover rapidly and completely from elongations of 100 percent or more. They provide textiles with greater stretchiness and recovery than is possible by the use of texturized yarns and knitted structures and are used in waistbands, sock tops, foundation garments, and exercise wear. The prototype elastomeric fiber is rubber. Natural rubber latex can be coagulated in many forms (balloons and rubber gloves, for example) and also in the form of fibers, although it is not possible to produce rubber as fine as most other textile fibers. Rubber fibers are difficult to dye, so when incorporated into a fabric that is stretched, the white rubber is visible. For that reason, most rubber is covered by another fiber spun or wrapped around it, such as cotton, which can be dyed. Fabrics containing covered rubber yarns are used in waistbands, sock tops, and foundation garments. Natural rubber is cheap, but suffers from degradation by chlorine bleach, and in the longer term by body oils, atmospheric contaminants, and metal salts. Occasional shortages of natural rubber have led to a search for synthetic alternatives, and fibers have been produced from many synthetic rubbers. Anidex and Lastrile are two generic names assigned to such elastomeric fibers, although these are now obsolete. Spandex dominates the synthetic elastomeric fiber market in the early 2000s. Originally developed by DuPont as "Lycra," it is produced by many manufacturers around the world. Chemically, spandex is a polyurethane, and in Europe such fibers have been simply called polyurethane, but more often are referred to as "elastane." Spandex is a comparatively weak fiber (it has a tenacity of around 0.7g/d) but since it will stretch 3 to 7 times its length before breaking, its lack of strength is not cause for concern. It can be produced as fine as most other manufactured fibers, and it is dyeable. It can be incorporated directly into fabrics (knitted or laid in to knits), or like rubber, it may be covered or core spun with another fiber for weaving. Depending on the end use, spandex may comprise 2 to 20 percent of a blend. It shares many of rubber's end uses and is also incorporated in less-specialized fabrics such as those used for swimsuits, exercise wear, and regular fashion apparel. In low percentages, it improves the recovery of worsted and denim fabrics. Its dyeing properties are similar to those of nylon, and it is commonly found in blends with that fiber. Blends with polyester are cheaper, but the high temperatures useful for dyeing polyester are damaging to polyurethanes, and such blends are less common than expected. While spandex is less susceptible to chlorine than rubber, it is still damaged by chlorine: polyesterbased spandex fibers are less prone than the polyetherbased versions. It melts at around 450°F and one of its few drawbacks is a relatively high cost. Research into new elastomeric fibers continues. Recently, Dow has introduced a metallocene-based, crosslinked olefin elaostomeric fiber, Dow XLA, that has been given the generic name "lastol." It is heat resistant, and maintains its stretch properties through processes such as dyeing and finishing, although the fiber itself is not dyeable. The FTC has also given the generic name "elasterell-p" to DuPont's fiber T400. 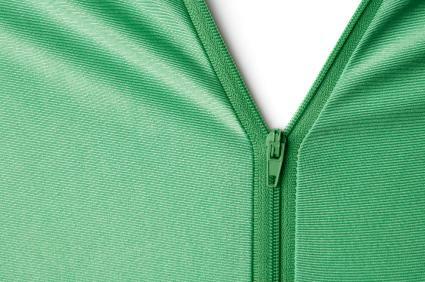 Elasterell-p is based on a combination of polyester polymers. Adnaur, Sabit. Wellington Sears Handbook of Industrial Textiles. Lancaster, Pa.: Technomic, 1995. Cook, J. Gordon. Handbook of Textile Fibers. II: Man-Made Fibers, 5th ed. Durham, U.K.: Merrow, 1984. Moncrieff, R. W. Man-Made Fibres. 6th ed. London: Newnes-Butterworth, 1975.